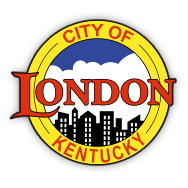 The City is thankful for all of the volunteers who helped rid downtown London of unsightly trash this morning during SprinClean-Up Day. Volunteers met at the Tourism Office at 9 a.m. and were given pickers, gloves, and high-visibility vests, as well as areas in downtown for them to patrol. The Spring Clean-Up Day took place just in time to polish the downtown area, accentuating London’s beauty before thousands arrive for the annual Redbud Ride.